Most muffins are over-stuffed with sugar, making them useless in anyone's muscle-building or fat-loss diet plans. But, with a few substitutions, muffins can actually have some nutritious value. 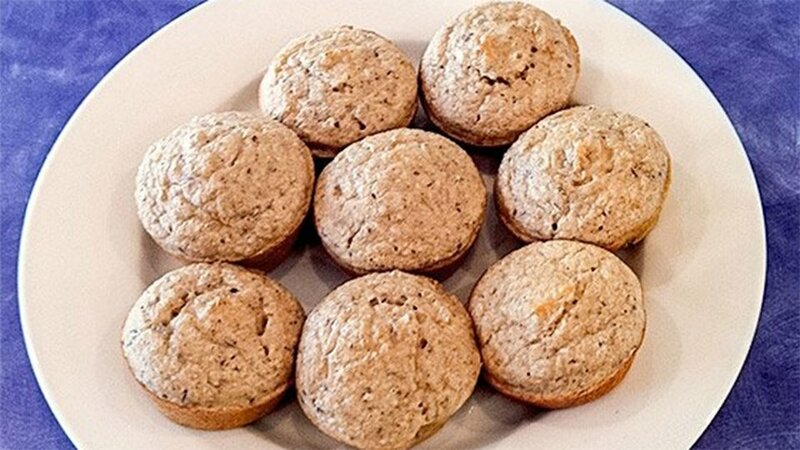 These muffins have very low sugar content, combined with a high protein count, compared their store-bought brethren. In a blender, mix all the ingredients (except for crushed pecan). Blend until the mix gets thick. Add the crushed pecan to the mix and stir (with a spoon or a spatula). Pour the mix in a muffin tin and cook at 350 degrees F. It usually takes about 30 minutes. Quick tip: These muffins freeze well. If you make a big batch, you can freeze them and then just microwave one when you get a craving.